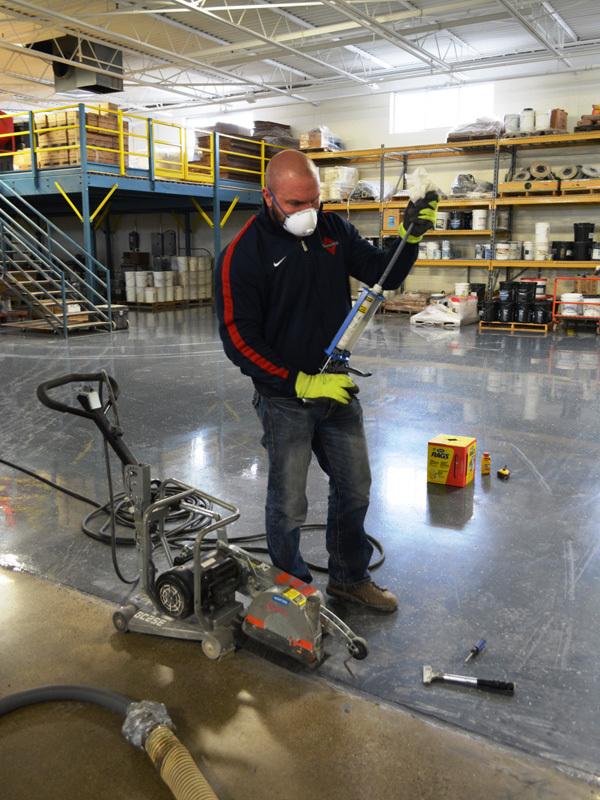 As an asset which drives productivity and profitability, it is important to invest in a flooring preventative maintenance program. 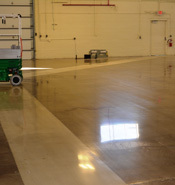 Concrete floors experience dynamic changes throughout their service life. 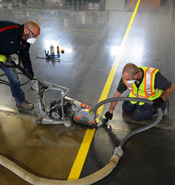 Changes in temperature, humidity, material handling vehicle usage and MHV loading conspire to degrade surface conditions and drive the need to implement a preventative maintenance program. 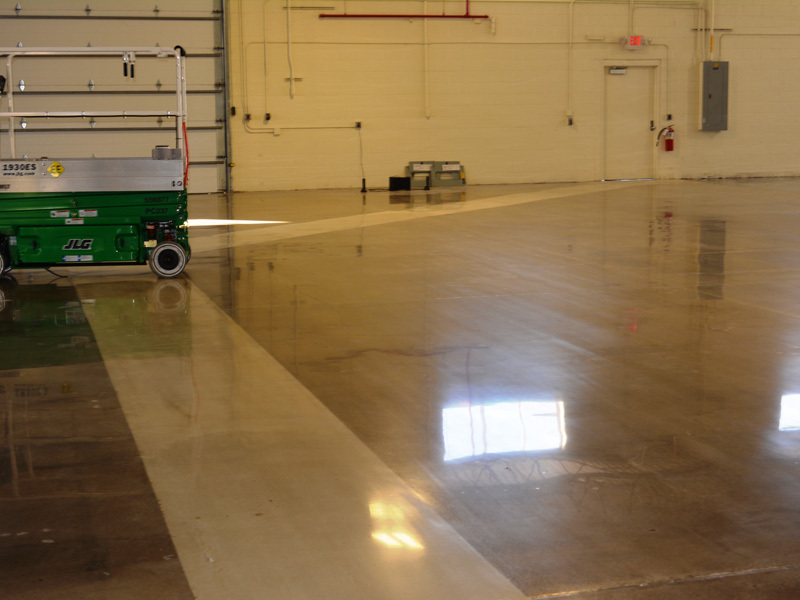 Early detection through periodic monitoring allows for timely maintenance that keeps business operations running smoothly and helps avoid expensive, disruptive repairs. 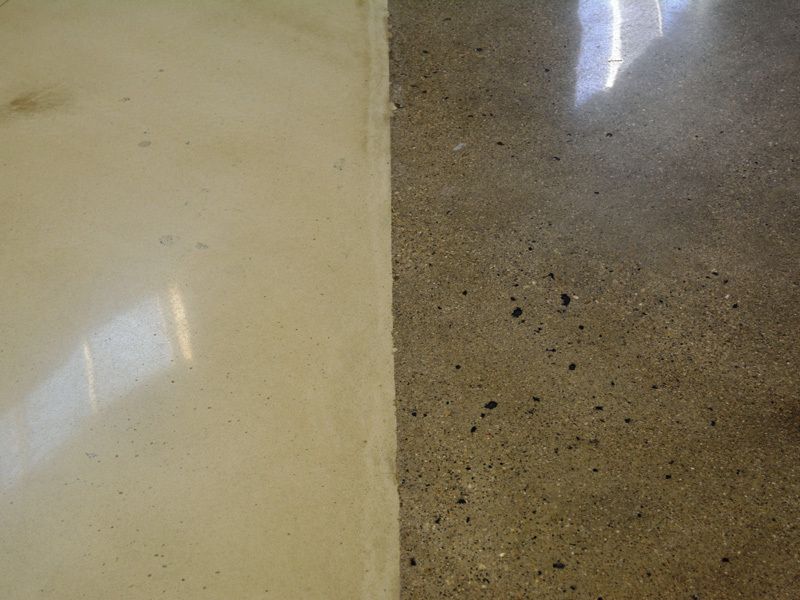 Historically, concrete floors were simply utilitarian, industrial work surfaces. 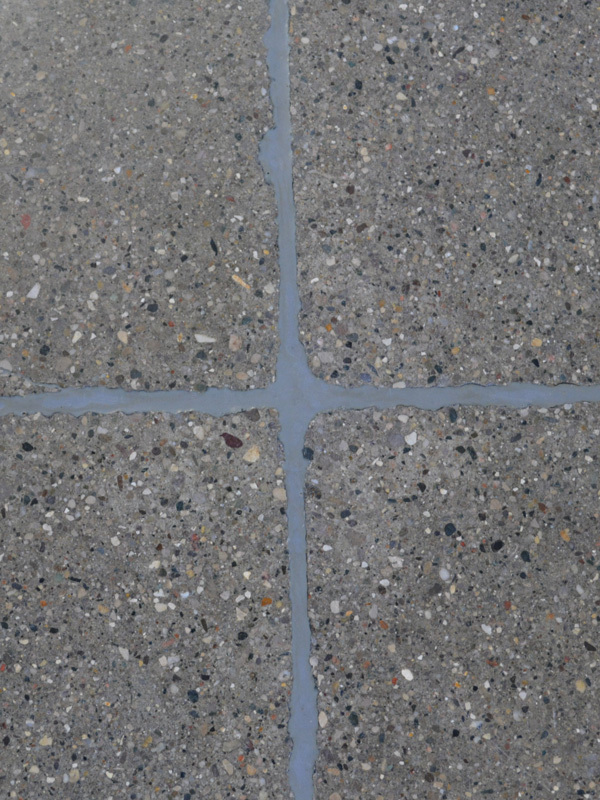 Concrete repairs needed to be functional but not necessarily aesthetically pleasing. 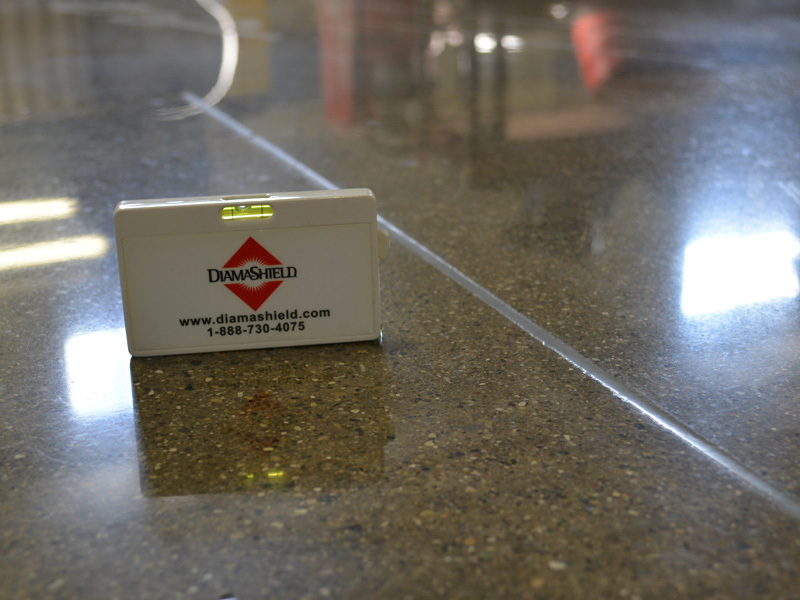 With the emergence of polished concrete, today's concrete surfaces are showroom floors. Owners' and customers' expectations are rightfully high and their level of scrutiny is intense. 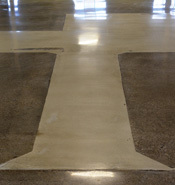 More attention than ever is being paid to the care and craftsmanship exhibited in modern polished concrete floors. 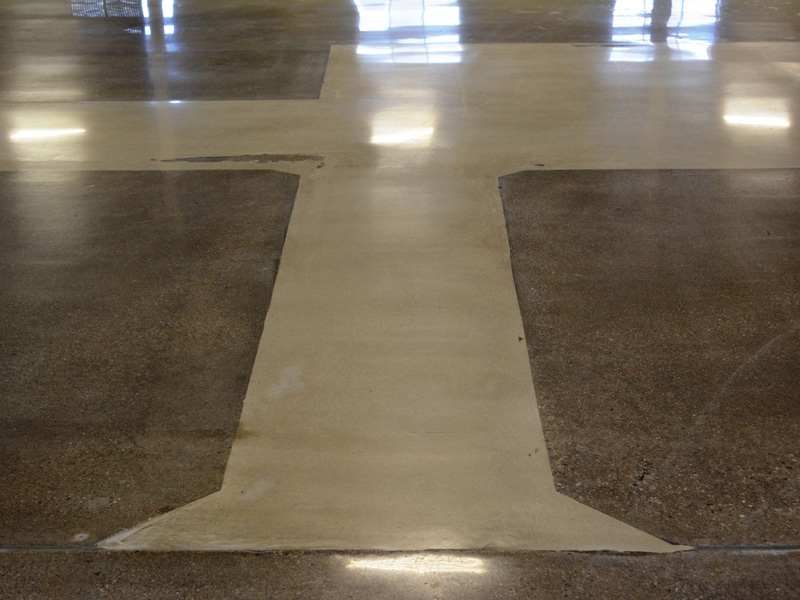 High gloss finishes, stained concrete and decorative designs demand a much higher degree of expertise when performing joint and crack repairs. 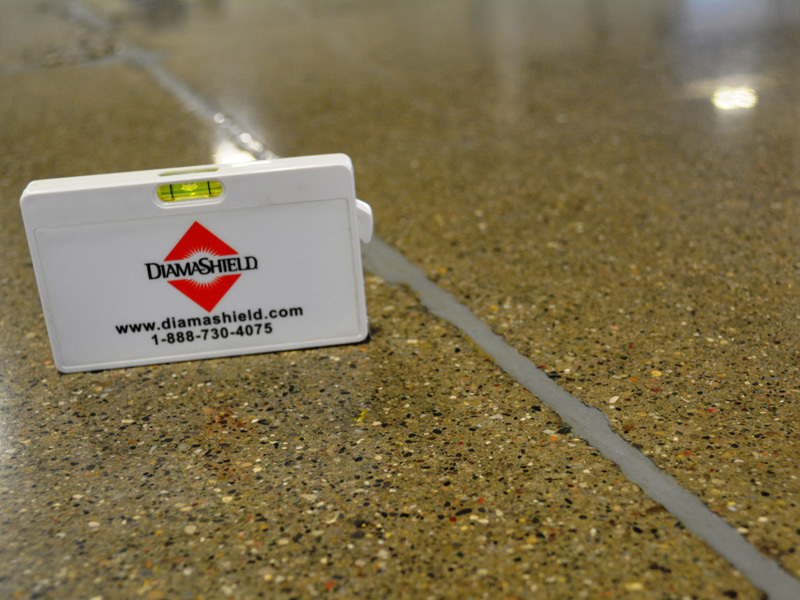 Not only must repairs be structurally sound, they must also blend in with surrounding polished concrete floors. 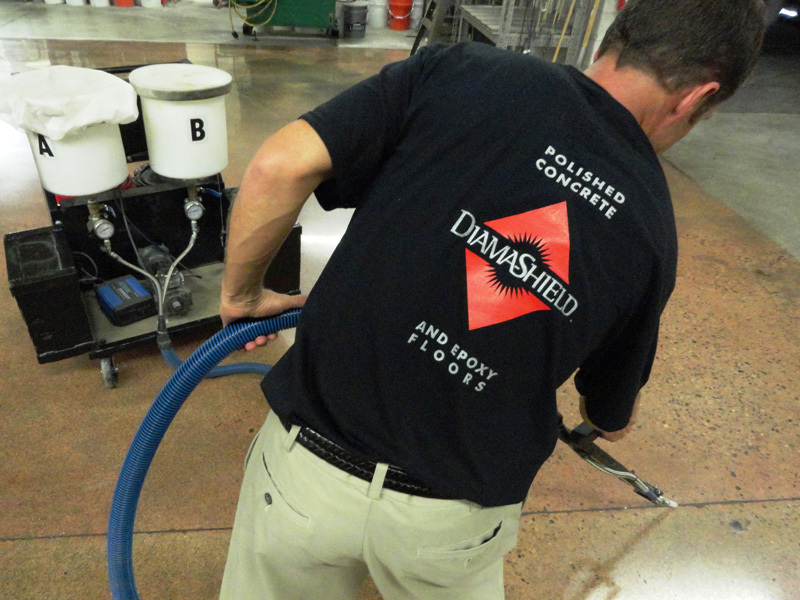 Diama-Shield has the expertise to meet performance and aesthetic demands when joint and crack repairs to polished concrete floors are required. 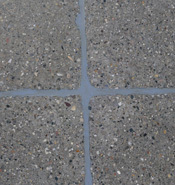 Control joints and formed joints create necessary interruptions in otherwise seamless concrete surfaces. 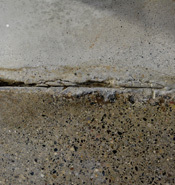 If not properly installed and maintained, floor joints become impact points which will deteriorate at an accelerated rate, damage material handling vehicles and contribute to surface spalling. 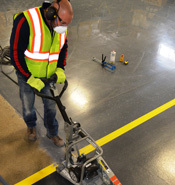 Properly maintaining floor joints prolongs a floors service life, increases productivity, creates a safer work environment and makes cleaning easier. 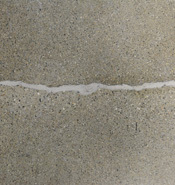 (Gap or Void Between Joint Fill and Slab Edge) Changes in the slab due to evaporation and contraction affect joint dimensions and cause tears in semi-rigid joint fillers. 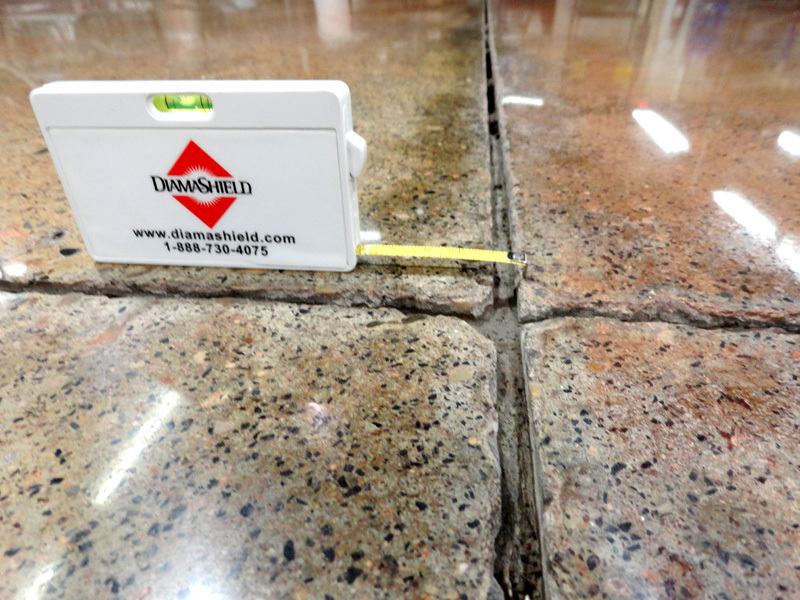 Separation voids with a width of 1/32" (credit card width) have the potential to expose joint edges to impact damage. 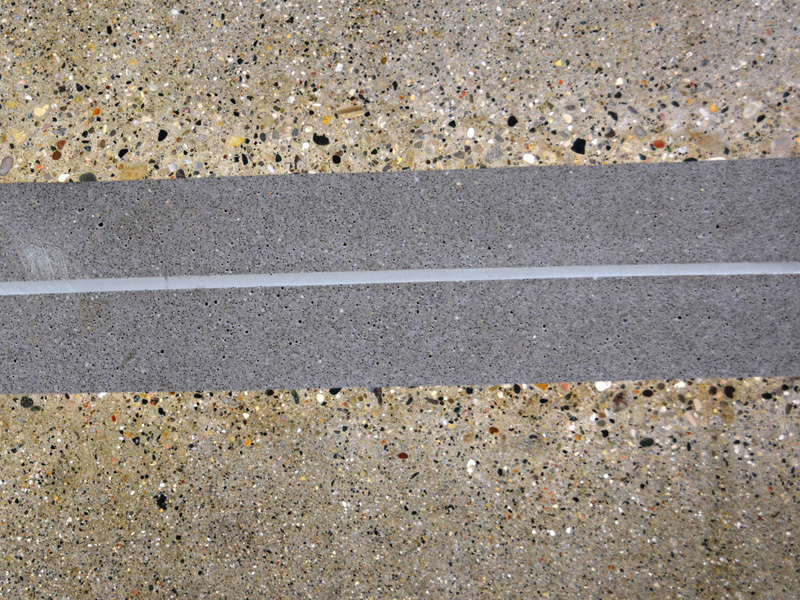 Debris embedding in separation voids may also cause sanitation concerns. 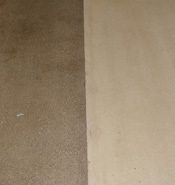 Separation voids should be cleaned and filled with semi-rigid polyurea filler. 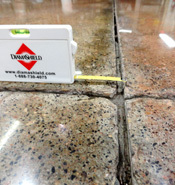 (Joint Fill Develops Concave Profile Between Slab Edges) Extreme joint opening or underlying deficiencies in original fill or backer installation Joint fill collapses or is punched down to expose joint edges to impact and damage. 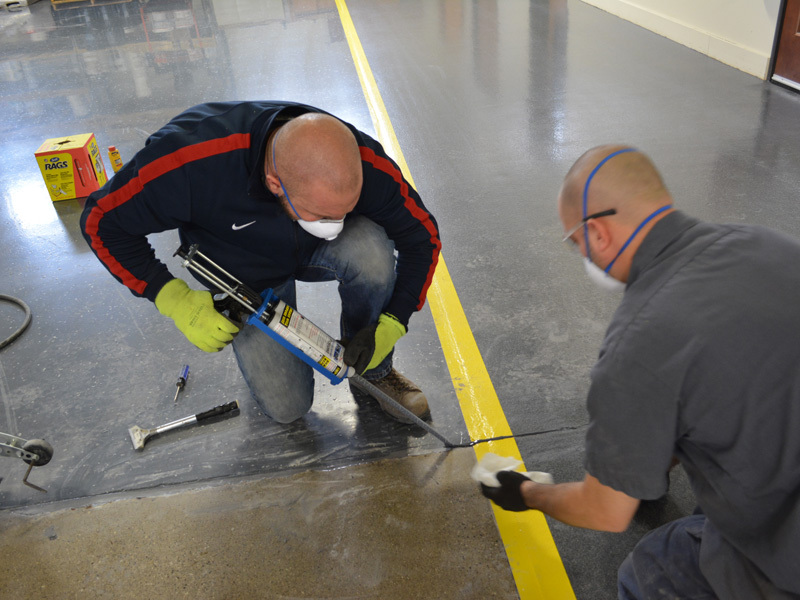 Remove existing filler, re-chase or saw cut joint to create clean, structurally sound edges and refill joint with semi-rigid polyurea. 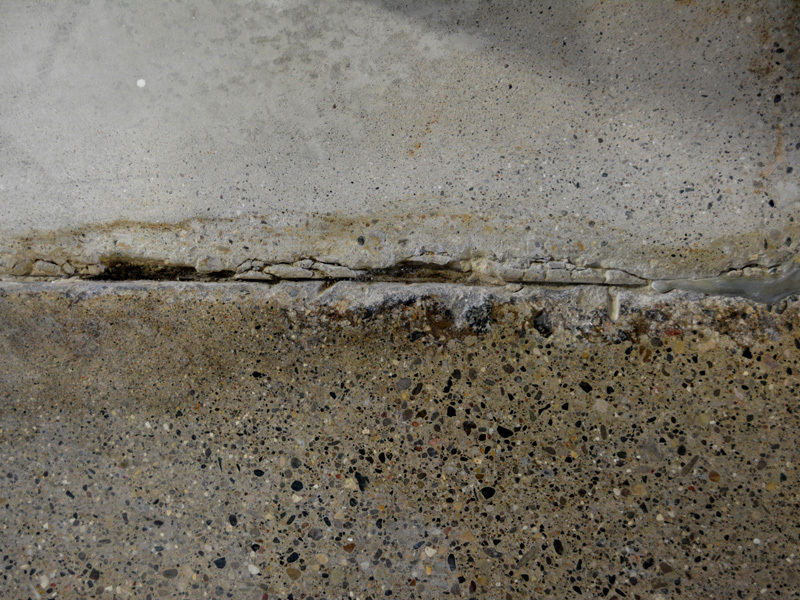 (Deterioration of Joint or Slab Edge) Joint edges left exposed to impact damage from material handling operations and consumer use. 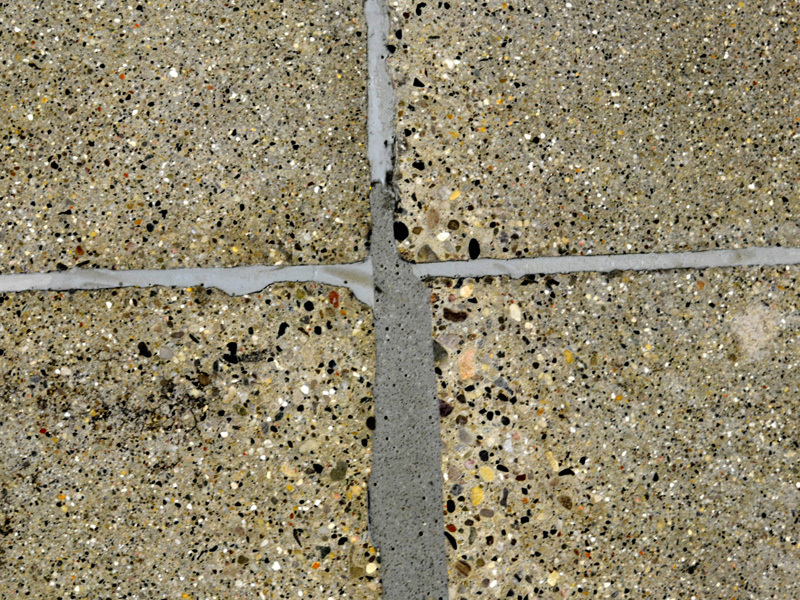 Chips and spalls weaken a floor's structural integrity and worsen over time. They may also be caused by operational problems that should be addressed (i.e. 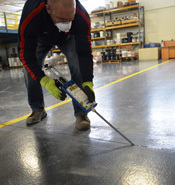 dangerous material handling practices or improper maintenance of MHV tires) Remove existing filler, re-chase or saw cut joint to create clean, structurally sound edges and refill joint with semi-rigid polyurea. Investigate cause or problem and make operational changes as necessary. 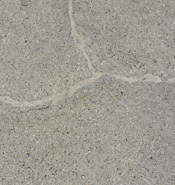 Random Cracks – Less than 1/8" Width Natural contraction and shrinkage of slab. May be influenced and exacerbated by climatic conditions. 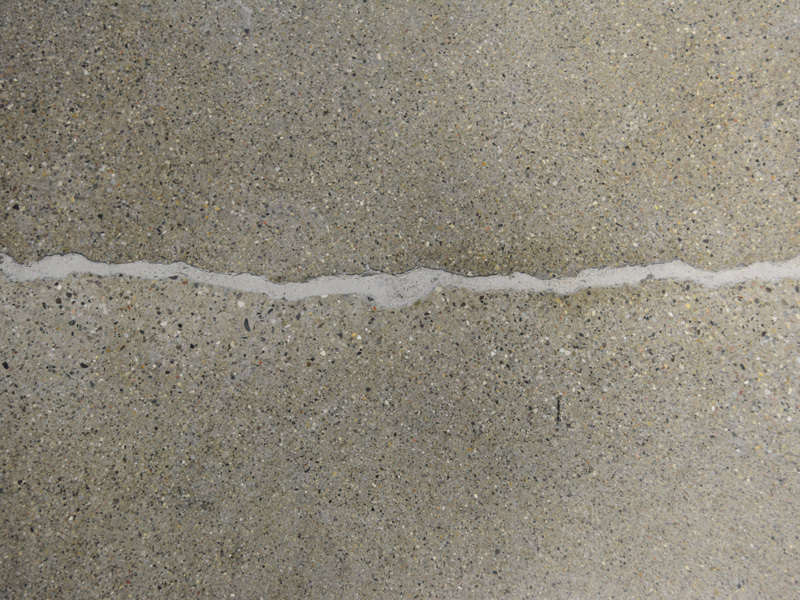 Cracks may run and expand if left unaddressed. 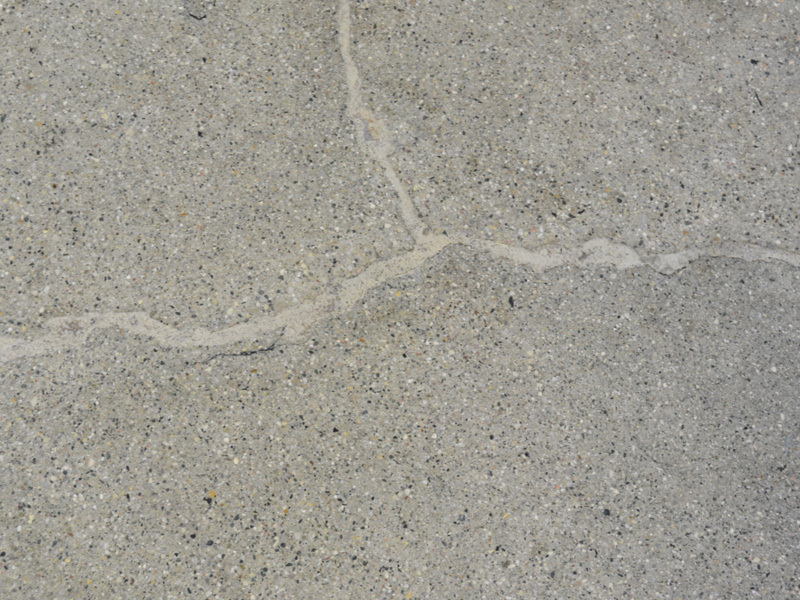 Edges are exposed to impacts resulting in greater spalling. 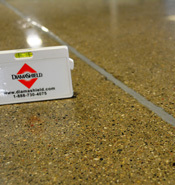 Trip hazards and unsanitary conditions may arise. Reflects poorly on corporate image. 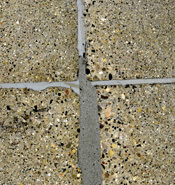 Clean crack using right angle grinder with soft wire brush or Nyalox wheel. Vacuum or blow clean. 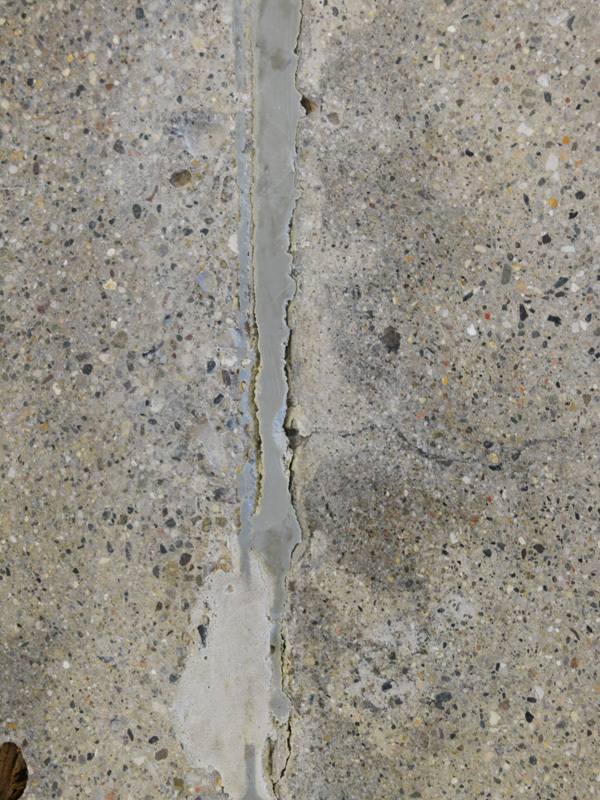 Slightly overfill crack with structural repair polyurea, allow to cure and grind flush with floor. 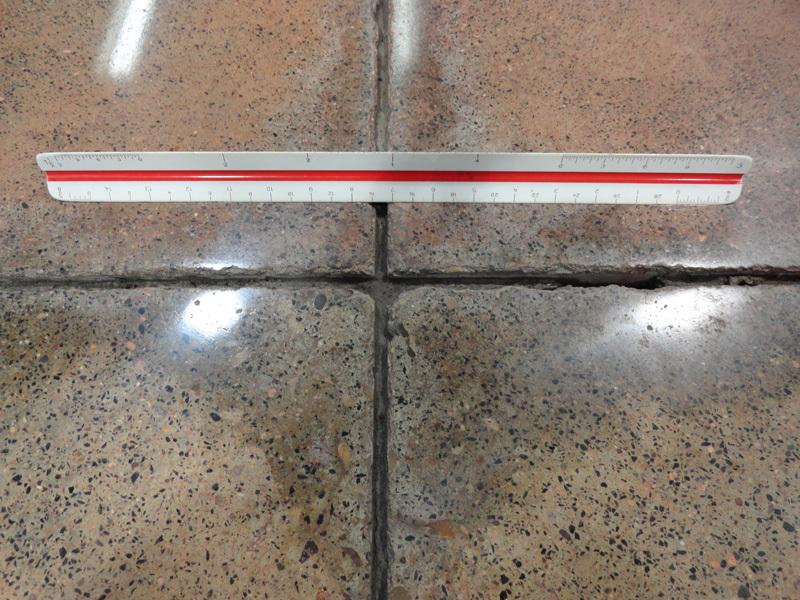 Random Cracks – Greater than 1/8” Width Natural contraction and shrinkage of slab. May be influenced and exacerbated by climatic conditions. Substantial likelihood of larger spalls and impact damage. Lost operational productivity. 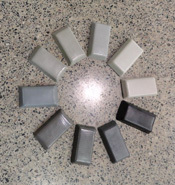 Reduced efficiency in material handling operations. 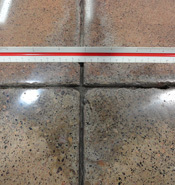 Large cracks constitute trip hazards and foster unsanitary conditions. Reflects a negative corporate image. 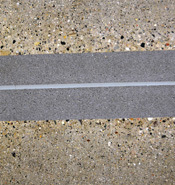 Use a right angle grinder with a diamond “U” or “V” blade to rout out crack to a3/4” depth. 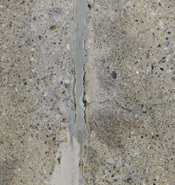 Vacuum or blow clean routed crack. 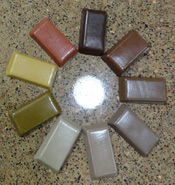 Choke off base with silica sand to prevent excessive seepage. 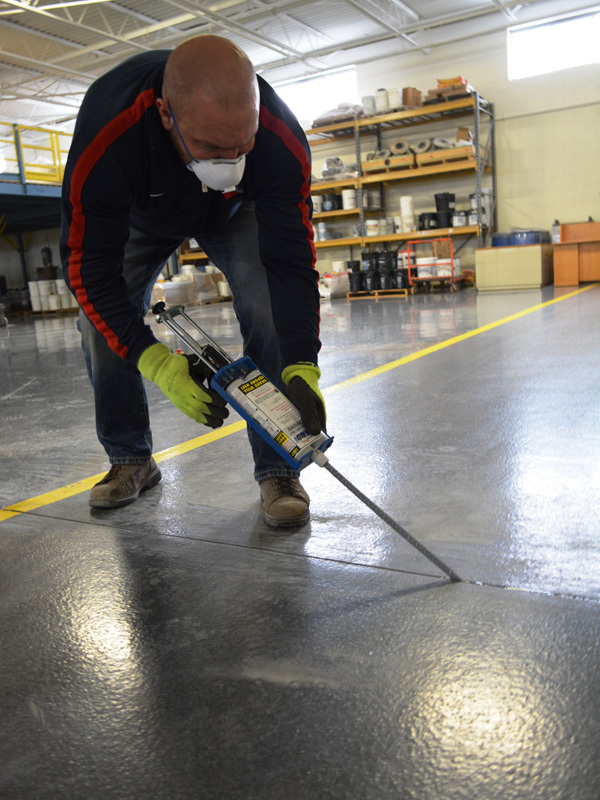 Apply semi-rigid epoxy or polyurea joint filler. Allow to cure and razor off excess. 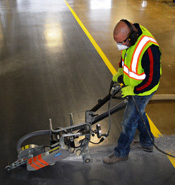 Surface Spalls – Less than 6" Material handling vehicles and material handling practices. Small spalls will continue to grow if left unaddressed. 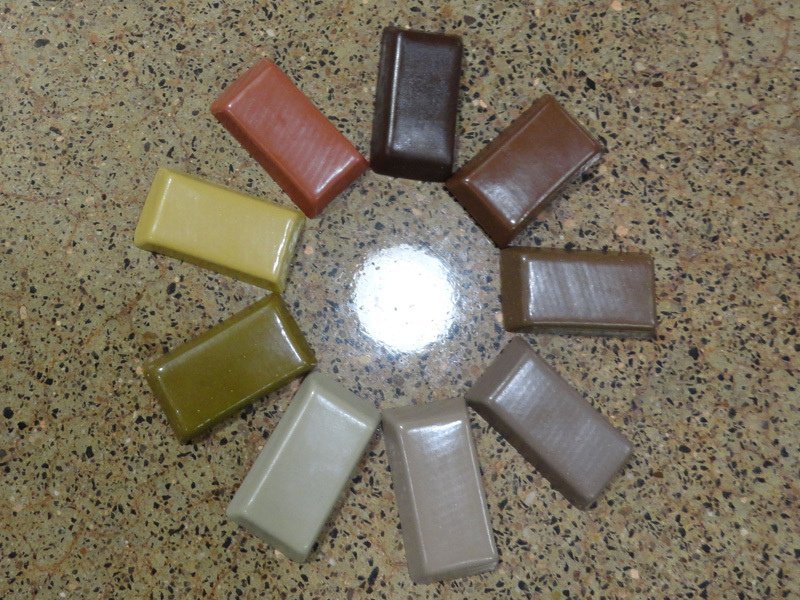 Unsanitary conditions and unsightly appearance hurts moral and projects a poor image to customers. 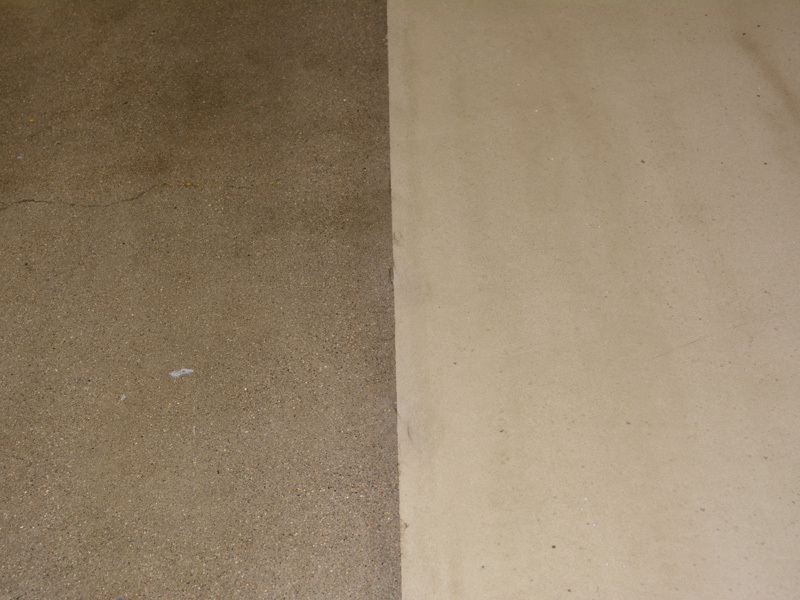 Use wire brush or Nyalox wheel to clean and abrade spall, vacuum, slightly overfill with polyurea and grind flush with floor surface. 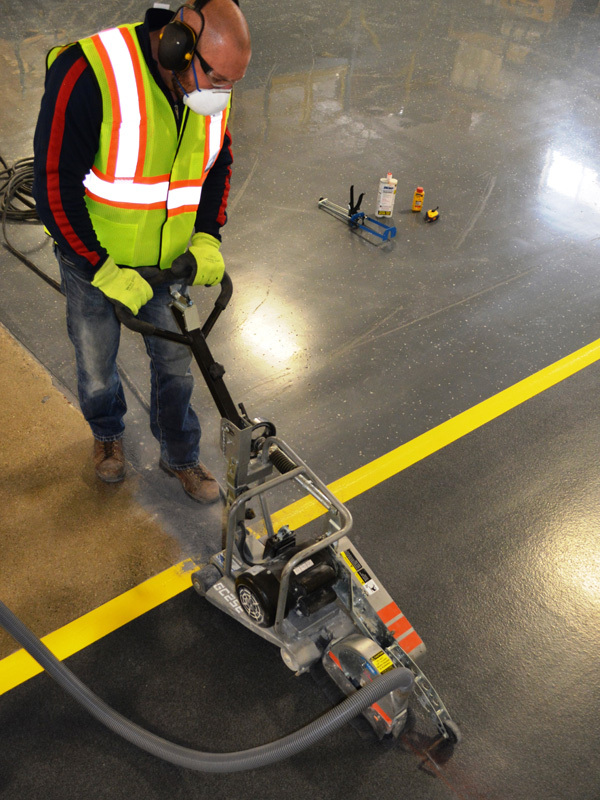 Surface Spalls – Greater than 6" Material handling vehicles and material handling practices. 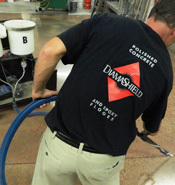 Large spalls and gouges create trip hazards, disrupt material handling operations, result in unsanitary conditions and decrease overall productivity and corporate image. Make cuts to define outer edges of area to be repaired, chip out spall section to vertical saw cut edges, wire brush and vacuum clean. 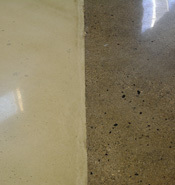 Slightly overfill area with structural epoxy mortar and grind flush with floor surface. 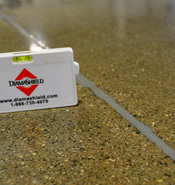 Implementing a well-designed floor monitoring and maintenance program is the best way to prolong a concrete floor's service life and to avoid costly and disruptive repairs. Designate a Floor Steward: A single person (typically from operations or maintenance department) should be designated “Floor Steward”. 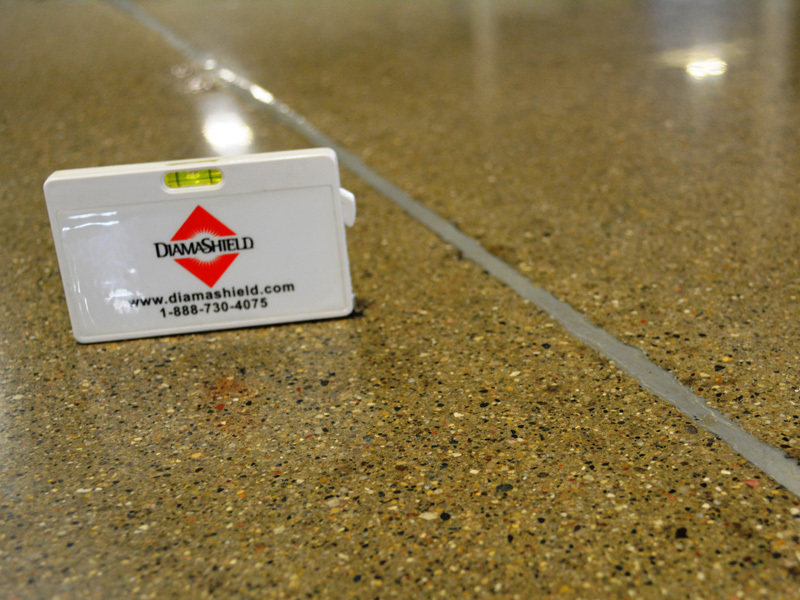 The Floor Steward should be trained to identify common floor issues and procedures for basic floor repairs. 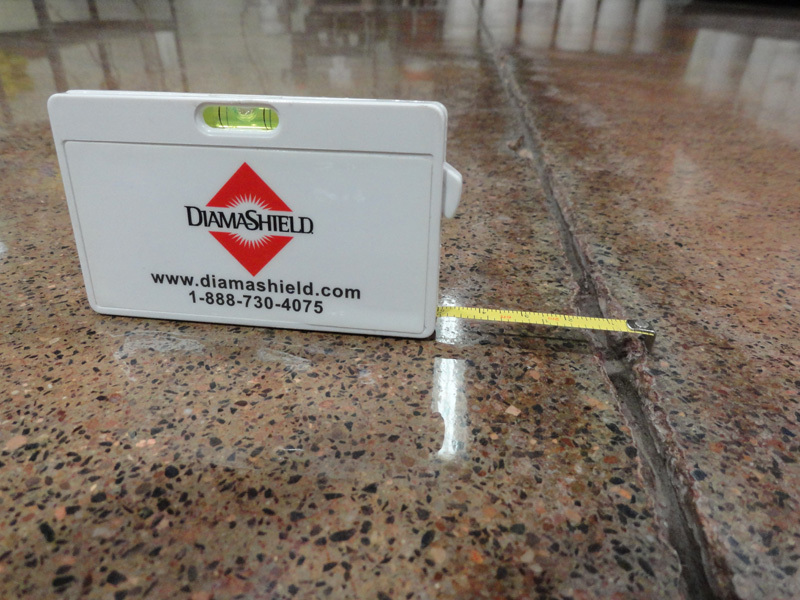 Schedule a Periodic Monitoring Plan: Floors should be monitored and inspected on a routine, periodic basis. 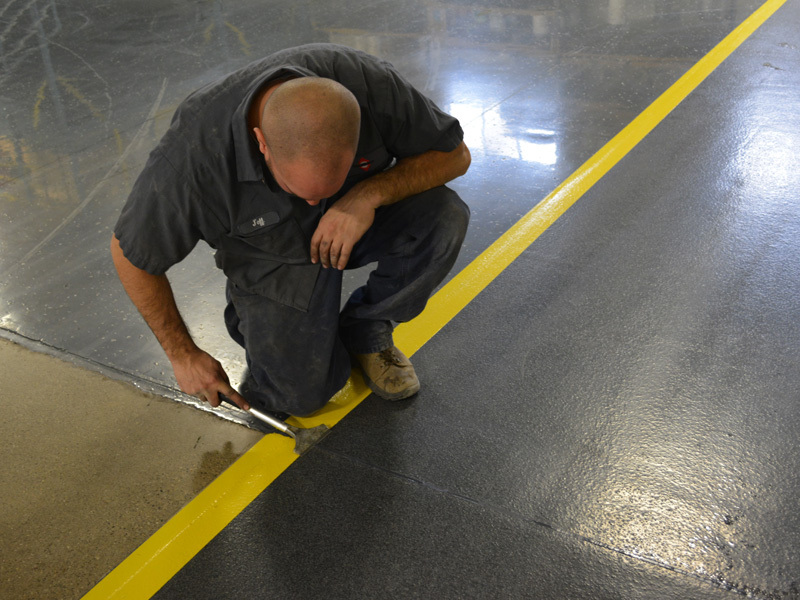 It is important to schedule floor inspections to create a baseline and ensure consistency. 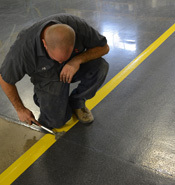 Standardize an Inspection Routine: A standardized inspection routine promotes consistency and allows for efficient inspections. 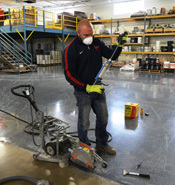 Document Inspections in Writing and with Photos: Areas requiring corrective action or additional monitoring should be mapped and photographed for easy identification by maintenance personnel and management. Documentation should be available for scheduling corrective actions or for future monitoring. 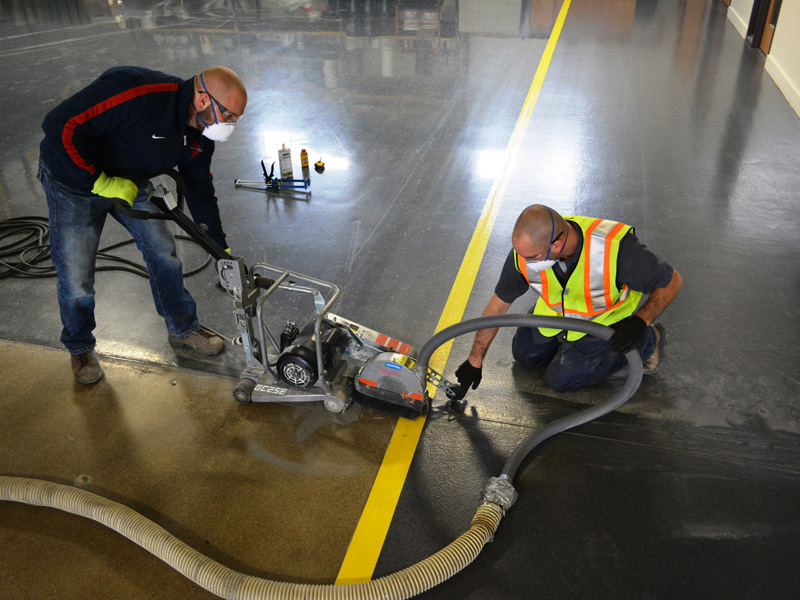 Prioritize Areas of Concern: Areas requiring repairs or additional monitoring should be prioritized according to severity, urgency of corrective action and relative impact on business operations. 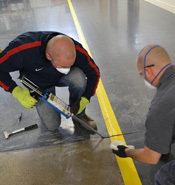 Standardize Corrective Action Guidelines: Develop a Floor Monitoring and Repair Manual which clearly outlines inspection and monitoring procedures as well as methods and materials to be used for maintenance and repairs. 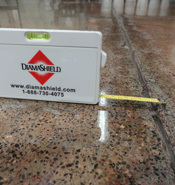 Authorize Professional Repairs When Necessary: Determine a procedure for authorizing and scheduling repairs that should be performed by a professional flooring contractor such as Diama-Shield.